Simplicity and elegance combine in the perfect lines of the Centra wall cabinet by the Wyndham Collection. If cutting-edge contemporary design is your style then the Centra is for you - modern, chic and built to last a lifetime. Featuring soft close door hinges you'll never hear a noisy door again. The Sonoma Collection brings inspired design and intelligent functionality to the modern bathroom. The Sonoma 12 in. x 55 in. wall cabinet in Restored Khaki finish harmonizes with the collection's vanities and matching mirror for a contemporary, coordinated design palette. The wall-mounted structure saves space and the open cube shelf and two soft-close doors provide surplus storage. For distinguished and convenient bathroom storage, the Teagen Bathroom Storage Wall Cabinet is the perfect solution. Featuring a rich espresso finish, this cabinet boasts two raised panel doors and two adjustable interior shelves for versatile storage options. The Teagen wall cabinet includes the Secure-Mount hanging system for easy installation. Pair with a matching vanity from the same collection for a cohesive look. The 30x30x12 in. Wall Cabinet comes in an unfinished exterior that can be painted or stained for a beautiful rich look. The cabinet's solid oak wood doors have a raised panel classic design that will easily match your existing home decor. The cabinet is fully assembled and ready for you to start your kitchen, bathroom, laundry room, office, or garage project. The Assembled 36x30x12 in. Wall Cabinet comes in an unfinished exterior that can be painted or stained for a beautiful rich look. The cabinet's solid oak wood doors have a raised panel classic design that will easily match your existing home decor. The cabinet is fully assembled and ready for you to start your kitchen, bathroom, laundry room, office, or garage project. Centra 24 In. W Wall Cabinet in Grey Oak Simplicity and elegance combine in the perfect lines of the Centra wall cabinet by the Wyndham Collection. If cutting-edge contemporary design is your style then the Centra is for you - modern, chic and built to last a lifetime. Featuring soft close door hinges you'll never hear a noisy door again. Centra 24 In. 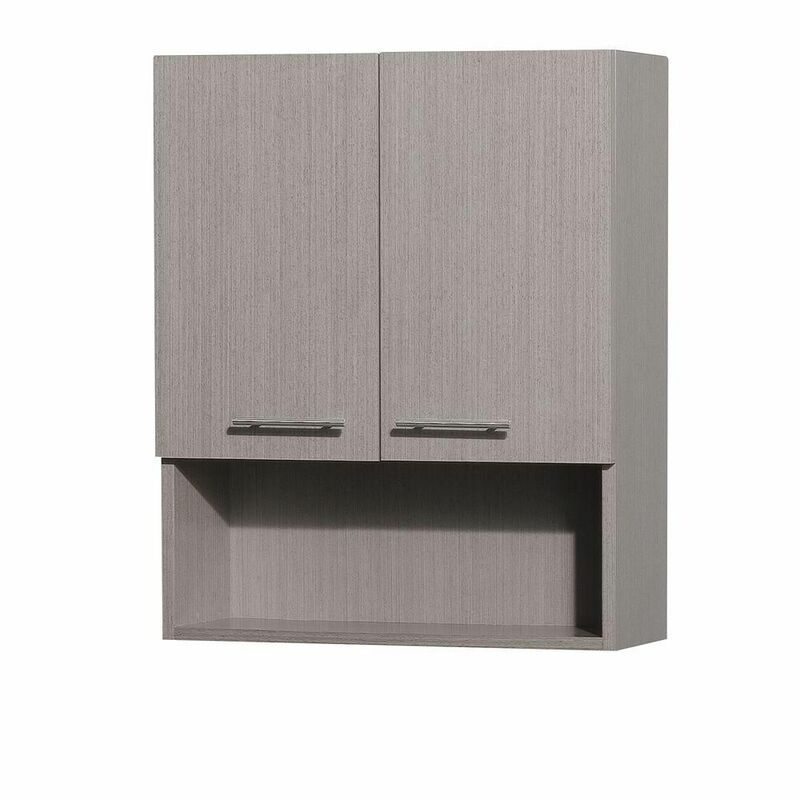 W Wall Cabinet in Grey Oak is rated 3.5 out of 5 by 2. Rated 3 out of 5 by Susan from Both units I ordered had significant defects in the finish and had to be exchanged for new ones (... Both units I ordered had significant defects in the finish and had to be exchanged for new ones (which was a big hassle, given how surprisingly heavy these units are). The replacements had very slight finish defects, which I will live with. In all other respects, the units are well-constructed and beautiful.